Special offer! 2012 and 213 Combo Set (both competitions and all the workshops) $120 for all six discs. Purchase HERE. Click here for the 2013 Competition DVD Set: $40 (new discounted price) for the entire weekend’s final divisions and exhibitions. Over 5 hours of dancing! The DVDs are chaptered so you can go to each division and see each performance quickly. Click HERE if you live outside the U.S. or Canada and want the Competition set. 2013 Workshop Notebook DVD (sold separately) summaries of all the WCS workshops. $30 (new discounted price) Please click HERE if you live outside the U.S. or Canada. 2013 Combo Set – Purchase both the competition set and the workshop notebook DVD for $60 and save big. (new discounted price) Please click HERE if you live outside the U.S. or Canada. Want just your routine? 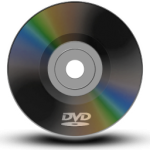 We can send you a HD video file through DropBox, upload it to Youtube or send you a DVD. Cost is $30 for any of the above. Click here to order. Please mention which one you want in the ‘message to seller’ box. Click here for the 2012 Competition Set: $40 for the entire weekend’s final divisions. Over 8 hours of dancing! The DVDs are chaptered so you can go to each division or see each performance very quickly. Click HERE if you live outside the U.S. or Canada. 2012 Workshop Notebook DVD (sold separately) summaries of all the WCS workshops. $30 Please click HERE if you live outside the U.S. or Canada. 2012 Combo Set – Purchase both the competition set and the workshop notebook DVD for $60. Please click HERE if you live outside the U.S. or Canada. You do not need a PayPal account to pay with a credit card through PayPal. We will ship about 4 weeks after the event, or in 2 weeks if you have only ordered the workshop DVD.